This week I attended the benefactor screening of Never Stop Dreaming, a new movie about the life of Shimon Peres produced by Moriah Films, a division of the Simon Wiesenthal Center. Peres was born in a nondescript “shtetl” in Poland, today Belarus, called Vishneva, into a traditional Eastern European Jewish family. His unlikely life story, that saw him evolve from an anonymous immigrant to workaholic Zionist pioneer, to builder of Israel’s robust defense infrastructure, to political topdog, and finally into one the world’s most recognized statesmen, is nothing short of remarkable. What struck me most during the movie was that Peres the dreamer was heavily augmented by Peres the pragmatist, always ready to act decisively and with practical insight so that an unachievable dream could become a reality. This was most notable in his campaign to turn Israel into a nuclear power, which resulted from Peres’s unrelenting pursuit of a strategic relationship with France during the 1950s. Israel and France had common interests in the Middle East. Both were enemies of Gamal Abdel Nasser, who actively sought the destruction of Israel and the ejection of the French from Algeria. Soon after the humiliating Suez Crisis debacle, France began to aggressively pursue an independent defense strategy that would not rely on the United States, consequently reversing its non-nuclear policy so that it could build its own nuclear deterrent. Peres used the opportunity to cash-in on his warm relationship with high-level French politicians painstakingly built up over several years, and he lobbied the French government to help Israel get its own nuclear project off the ground. But at the last minute, before an official letter approving the cooperation could be signed by the French prime minister – Peres’s close friend Maurice Bourgès-Maunoury – the French government collapsed and Bourgès-Maunoury was no longer prime minister. Undeterred by this cruel twist of fate – one that appeared to kill off any hope of an Israeli nuclear program – Peres the dreamer immediately morphed into Peres the practical, and he urged his friend to sign a backdated letter so that France would be obligated to honor it. Inexplicably, Bourgès-Maunoury agreed, and the rest, as they say, is history. It was this very letter that resulted in the creation of Israel’s nuclear deterrent, and in historical terms it is arguably as important as the Balfour Declaration in terms of the existence of the State of Israel. There is no greater dreamer in the Torah than Joseph, who infuriated his brothers and bewildered his father with his grandiose dreams of an elevated future in which his own family would pay homage to him. And despite numerous and seemingly irreversible setbacks, he continued to dream, reaching for the stars even as his life was mired by tragedy and disaster. Thrown into jail following a false accusation of sexual assault against his master’s wife, and after languishing there for nine years, he is joined by two senior members of Pharaoh’s palace staff. Both of them experience dreams that seem to hold information about their situation, and Joseph the dream expert offers his interpretation. One of the two, Pharaoh’s butler, is destined for freedom and reinstatement, and Joseph the dreamer quickly turns into Joseph the practical, and he asks the butler to seek his release when the opportunity presents itself. Although Joseph is criticized for this by the Midrash, which sees his request as a dereliction of absolute faith in the divine plan, Joseph clearly did not get the message. Two years later, when he is extracted from jail at the suggestion of the butler to interpret a pair of dreams that had confounded Pharaoh, without solicitation he proposes a practical solution to the crisis for Egypt predicted by those dreams, as a result of which he was appointed viceroy of Egypt. This stunning reversal of fortune resulted not only in the salvation of his starving family in Canaan, but the elevated position about which he had dreamed all those years earlier and which saw his family pay homage to him. 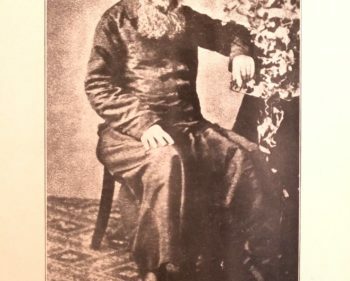 In Kabbalah and Hasidic thought, however, the final word of the verse – “la’asot” – is not translated as “that he had done”, but more literally as “to do”, and rather than referring to God, it refers to us proactively engaging with the world around us to achieve the objectives of our dreams and aspirations. Creation wasn’t an end, it was only the beginning; it is up to us to finish the story. God’s creation is a platform, faith and dreams are a motivator – but only action can turn these ingredients into an improved reality. Joseph’s dreams only seemed fantasy to his brothers because they failed to detect his determination and willingness to pursue them. Shimon Peres was often portrayed in his lifetime as an impractical dreamer, and in some instances his dreams were indeed impractical. Nevertheless, without his dreams and the unrelenting practical pursuit that accompanied them, the Israel we all cherish and take pride in might very well not have thrived, or even survived. 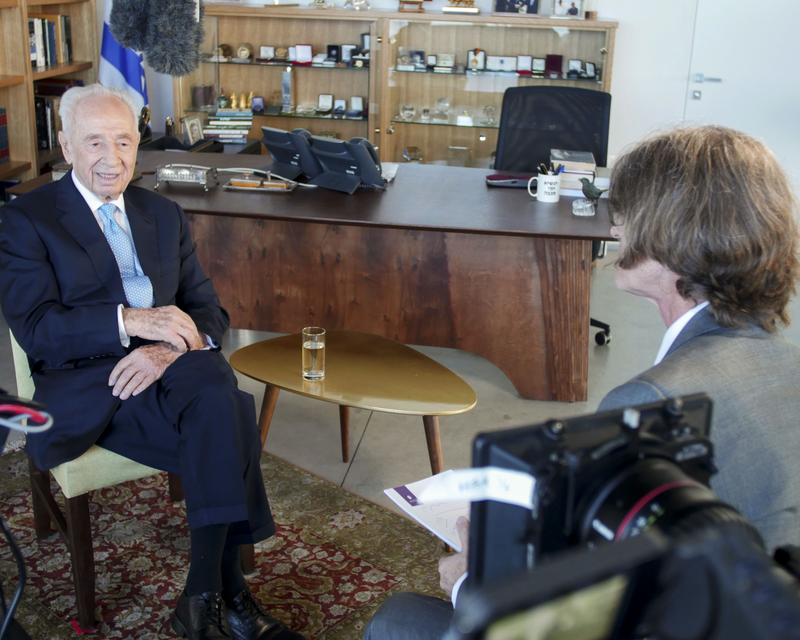 Photo: ‘Never Stop Dreaming’ director Richard Trank interviewing Shimon Peres during the filming of the movie (photo courtesy of the Simon Wiesenthal Center).